The CEEO is exploring new ways to broaden making to departments outside of engineering. Jumbo’s Maker Studio teamed up with three Calculus 2 professors, Zac Faubion, James Adler and Sarah Bray to construct an innovative extra credit assignment. 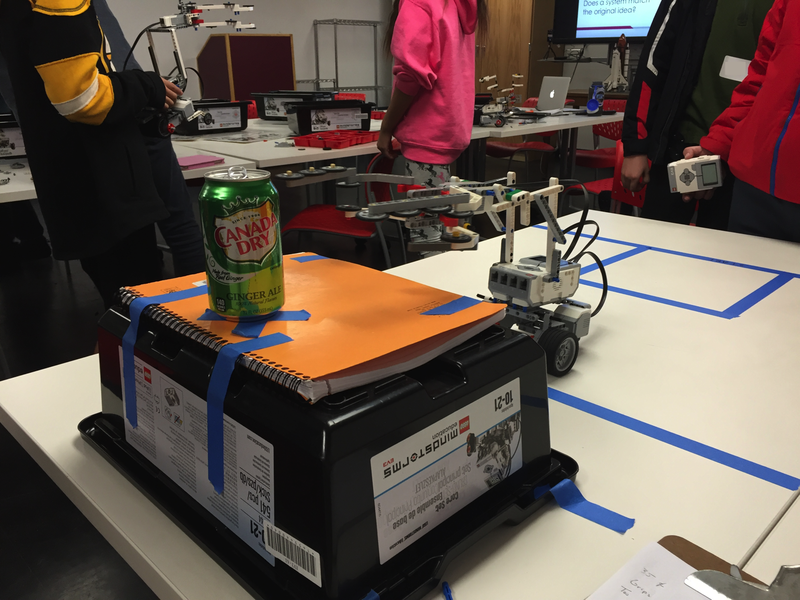 Students visited the Maker Studio to design artifacts generated by the math they learned in the Calculus 2 course. They engaged with the course material by creating physical representations of mathematical objects. Most students used TinkerCAD to 3D print volumes that were generated by rotating curves or approximations of volumes. 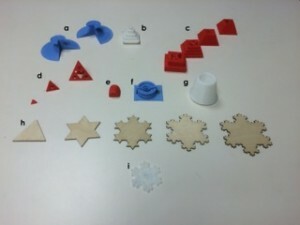 One group represented approximations of the Koch snowflake using wood cut in the laser cutter. Here are some example projects from Fall 2015. 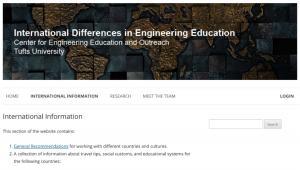 In addition to my work on international difference in engineering education, I am leading a second research project supported by the CEEO Innovation Fund. I have been working with Paul Grogan, an Assistant Professor in the School of Systems and Enterprises at Stevens Institute of Technology, and Sara Willner-Giwerc, an undergraduate student in Mechanical Engineering, to develop a LEGO EV3 workshop around concepts of systems engineering. If you’re not familiar with this discipline, systems engineering coordinates efforts across multiple disciplines to realize complex products. Systems engineering isn’t typically taught until graduate school, but my collaborators and I believe that it’s important for pre-college students to have an understanding of this field. Thinking about an engineering problem in terms of systems engineering concepts, such as specifying requirements for each subsystem, is a more sophisticated approach to engineering design. An understanding of systems engineering also promotes technological literacy and enables all students to understand how the technological, human, and natural components of a system affect the others in both positive and negative ways. With the support of the CEEO Innovation Fund, Ph.D. student Brian O’Connell set out to develop a way to understand better and utilize the makerspace resources at Tufts University. 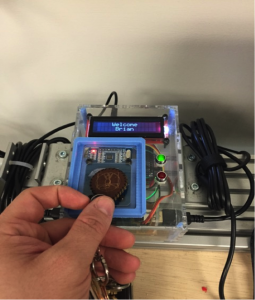 With the assistance of William Dolan, they combined a range of open source hardware and software components to track attendance at the various makerspaces as well as usage of the individual stations within a central database. With 302 registered users in the database and over 2000 logged instances of use for the spaces and equipment, the added information allows for better control and oversight of the space and equipment and gives us insight into how students are making use of the creative resources they provide. Sign In/Out stations at Jumbo’s Maker Studio(JMS) at the CEEO, JMS at 574, and in the Crafts Center already exist along with equipment terminals in JMS. The system will be implemented fully in the design spaces of Bray Lab over the upcoming summer. The impact of the CEEO reaches far beyond the boundaries of metropolitan Boston. The CEEO has hosted students, postdocs, faculty members, and visitors from Switzerland, Korea, Chile, Spain, and China, among others. Members of the CEEO have also traveled internationally to work with partners in countries such as Indonesia, Germany, Japan, Russia, Australia, and New Zealand. Because of our global reach, it is important for the CEEO to understand how ideas and motivations about engineering, technology, and engineering education are similar and different around the world. The approach to engineering education that is successful here in Boston may not be successful in another part of the world. As a result, having this cultural understanding of engineering education can enable the CEEO to effectively work with our international partners to introduce our programs and activities into their countries. Marya Schnedeker, a staff member at the CEEO and alumnae of Tufts, Camille-Louise Mbayo, an undergraduate student in mechanical engineering, and I undertook a CEEO Innovation Fund project focused on international engineering education that addressed these themes.